SCA Chess Academy provides professional international chess instruction in Shanghai. We teach chess in English at more than 15 international schools, and at centres, prestigious venues and homes all around the city. Our coaches are all professional foreign chess coaches and include chess masters and expert instructors. SCA also organizes competitive chess tournaments where kids can put their skills to the test. Learning chess is a great way to build thinking skills in a safe, fun environment. We work with numerous international schools in Shanghai. As such your child can attend instruction right after school finishes. They will be learning chess in a safe, fun environment and practice with their peers. Our afterschool chess program is open to all ages and abilities. Coaches focus on showing students that chess is both educational and enjoyable. Classes and lessons are arranged according to the level of the students. Currently we offer afterschool classes at 10 international schools across Shanghai. Contact us to find out if we offer chess at your school. Small group classes are a great compliment to our after school programs and accelerate the speed of the student’s learning. Classes are capped at four to eight students which makes the perfect environment for learning more complex strategy and tactical motifs. Students are grouped by ability. 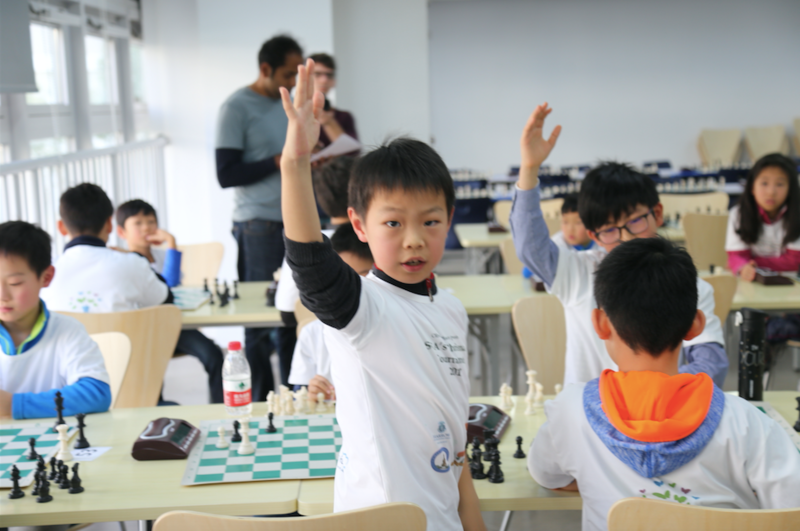 Each student is guided by our expert chess coaches through the Shanghai Chess Academy’s signature curriculum. We make sure that our Academy students have an opportunity to put the knowledge they learn into practice, therefore at the end of each class students have the opportunity to play against each other under the coach’s supervision. Private classes are tailor-made for each student at a time to suit you. Coaches help students to improve all aspects of their game, fix weaknesses and design a unique systematic training program to ensure rapid progress. Private classes are available for all ages and levels, based on the availability of coaches and location. Please contact us directly to discuss your requirements. During school holidays we organize intensive courses and chess camps. This is when students make the most rapid progress, sometimes progressing through one or two levels in just one or two weeks. Students can join for half days, full days or full weeks. Coaches organize the lessons to provide variety during the day, moving through teaching new concepts, solving puzzles, analysing infamous games of chess grand masters, practice play and analysing their own games. Our company was formed to provide greater numbers of international school students with the opportunity to learn chess, building on the foundations laid by the Shanghai Chess Club’s chess in schools initiative. As student numbers grew, many began asking for further opportunities to continue learning and pursue deeper aspects of the sport. This led to the development of our Small Group Class programme and the recruitment of experienced, master chess coaches to our team. Our first Tournament took place in April 2015 followed by our Shanghai Centre launch event in August that year. Since then, we have introduced the beautiful game to thousands of children at international schools all around Shanghai and organized many Tournaments and Events. Our mission is to be continuously recognized as one of the leading providers of activities for children by comprehensively developing our students’ skills and character, spreading passion for chess, connecting people around the world, preparing our students to become internationally recognized chess players, and providing world class standards in convenient locations. SCA's chess classes feature structured lessons and play in a fun environment. Experienced instructors teach players of all abilities. Lessons are tailored for the level of the children, and most inportantly these classes are intended to be fun! © 2018 SCA Chess. All Rights Reserved.